« Is it Really Christmas in July? Fall is my favorite time of year! 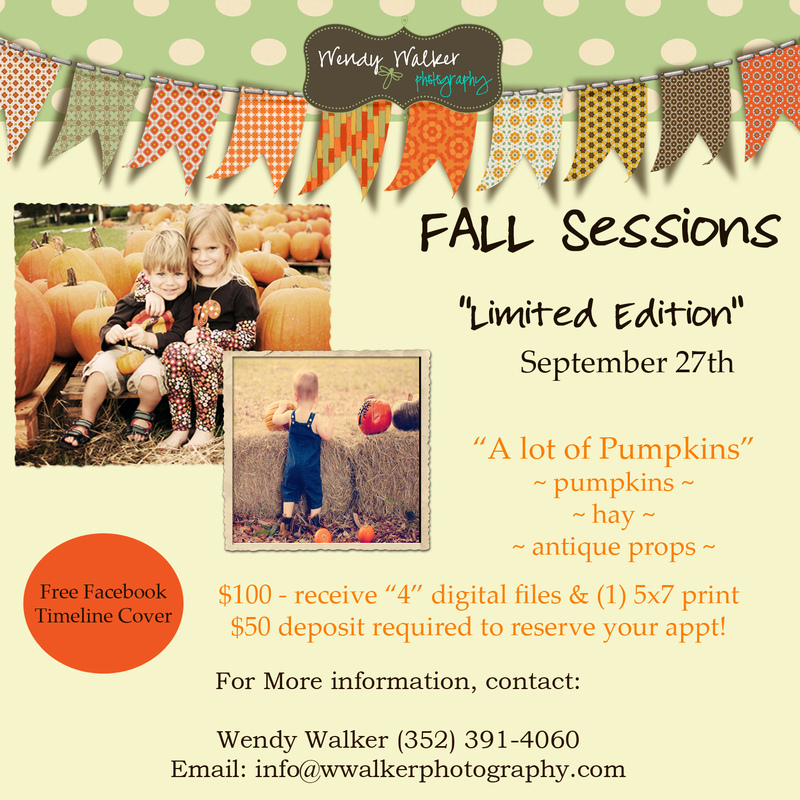 This year, I’ve been given an opportunity to hold my fall sessions at a farm in Eustis. Maybe you’ve heard about it? It’s Santa’s Christmas Tree Farm off Huff Road in Eustis. This is a Limited Edition session, which means there is only one date, September 27th. The times are 12:30-7:30pm and I will allow each session 30 minutes. Please email me at info@wwalkerphotography.com to schedule your appointment and state what time you would like. A $50 deposit will reserve your time slot. I will send you an invoice through Paypal. Once that is paid, I will then write down your time that you requested. My Payment Plan is available. Please email me for more details. The remaining balance will be due the day of the event or you can pay it off earlier, whichever you prefer. Be sure and come dressed in fall colors. Costumes are welcome if you want your little ones in them! I’m so excited about this location. Make sure you plan to visit them again in October when they open for their A Lot of Pumpkins event. You can pick out your pumpkin and carve it at the carving station! Also, make sure you visit the petting zoo, magical maze, hayrides and more! See you at the farm!!!! !